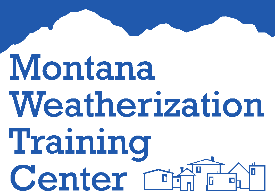 Where Is the Weatherization Center? The Center moved to a new building in April 2017. We are located on the east side of Bozeman. Quick Directions: From I-90 take Exit 309, turn onto "Frontage Road" traveling East. Proceed 0.7 from the off-ramp to Osterman Drive on your right. The Center is off the cul-de-sac on the west side. Suite 101 is in the southeast wing of the "L-shaped" building.